Here is a latest govt jobs for the Indian air force to join group-x and group-y. This sarkari naukri is to join Indian air force for the unmarried male candidate who have completed their 10+2 / intermediate from the mathematics stream / biology stream / three year engineering diploma / two year vocation course. 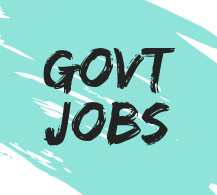 For more detail about this sarkari job , see the information given below. ⇒ Group Y : Passed Intermediate / 10+2 / Equivalent examination from any stream / subject with 50% marks and 50% marks in english. ⇒ Group Y ( Medical assistant trade ) : Passed Intermediate / 10+2 / Equivalent examination with English, Biology, Chemistry, Physics with 50% marks and 50% marks in english. Procedure of selection → There are three phase of selection. Pay Scale ( Rupees ) → 14,600 during training period. 1.6 Km run within 6.30 minutes.